I need to convert a mercurial project to a git project, but I would like to keep the commit history intact. My current solution was to just remove hg related files and then git init && add manually the files I needed, but that would not keep the history. Are there any solutions to this? Also have a look at this SO question. Ok I finally worked this out. This is using TortoiseHg on Windows. If you're not using that you can do it on the command line. Open a command line, enter an empty directory. cd to your Mercurial repository. Hopefully it will work and then you can push from that new git repo to a non-bare one. Some notes of my experience converting Mercurial to Git. Kiln Harmony does not appear to exist on a free tier account as suggested above. I could choose between Git-only and Mercurial-only repos and there is no option to switch. I raised a support ticket and will share the result if they reply. All the above are blunt instruments and I only pushed ahead because it took enough time to get the team to use git properly. The theory is that the default branch can be deemed to be master when pushing to git, and in my case I inherited a repo where they used 'stable' as the equivalent of master. Moreover, I also discovered that the tip of the repo was a hotfix not yet merged with the 'stable' branch. Without properly understanding both Mercurial and the repo to be converted, you are probably better off not doing the conversion. hg ci -m "Merge with stable branch"
After this I had a verifiably equivalent project in git, however all the orphaned branches I mentioned earlier are gone. I don't think that is too serious, but I may well live to regret this as an oversight. Therefore my final thought is to keep the original anyway. Another option is to create a free Kiln account -- kiln round trips between git and hg with 100% metadata retention, so you can use it for a one time convert or use it to access a repository using whichever client you prefer. You should see a long listing of commits fly by as your project is migrated after running fast-export. If you see errors, they are likely related to an improperly specified Python path (see the note above and customize for your system). I wanted to convert all (in my case: two, or in general: more than one) branches of my repo. I had non-ASCII and (being a Windows user) non-UTF8-encoded characters (for the curious: German umlaute) in my commit messages and file names. I did not try fast-export and hg-fast-export, since they require that you have Python and some Mercurial Python modules on your machine, which I didn't have. (Repeat the 2nd line for every branch you want to convert, and repeat it again if you should happen to do another commit before executing the 3rd line). 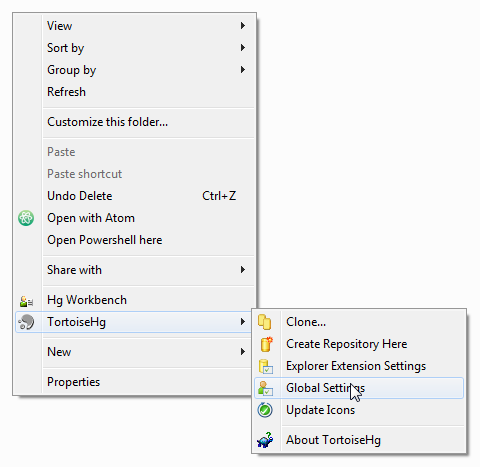 This creates a folder git within .hg, which turns out to be a bare Git repo with all the exported branches. I could clone this repo and had a working copy as desired. 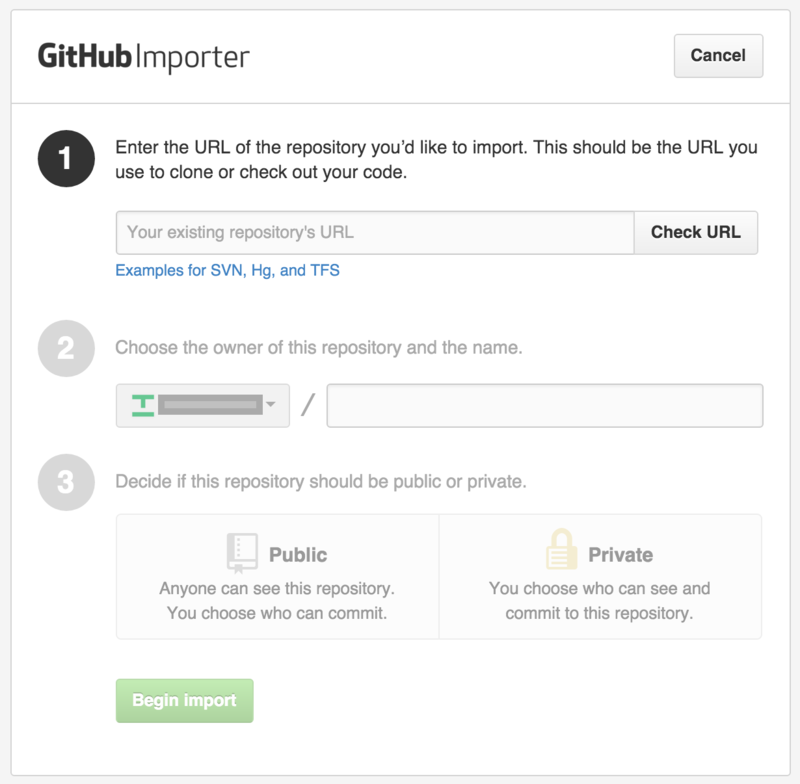 I also tried the Github importer as mentioned in this answer. I used Bitbucket as the source system, and Github did quite a good job, i.e. it converted all branches automatically. However, it showed '? '-characters for all non-ASCII characters in my commit messages (Web-UI and locally) and filenames (Web-UI only), and while I could fix the filenames as described above, I had no idea what to do with the commit messages, and so I'd prefer the hg-init approach. Without the encoding issue the Github importer would have been a perfect and fast solution (as long as you have a paid Github account or can tolerate that your repo is public for as long as it takes to pull it from Github to your local machine). (*) So it looked like before I discovered that I have to bookmark all the branches I want to export. If you do and push to a bare (!) repo, like the linked answer says, you get all the branches. This would be better as a comment, sorry I do not have commenting permissions. @mar10 comment was the missing piece I needed to do this. This moved our hg project to git with the commit history intact. How to use Hg-to-Git tool - fast-export? 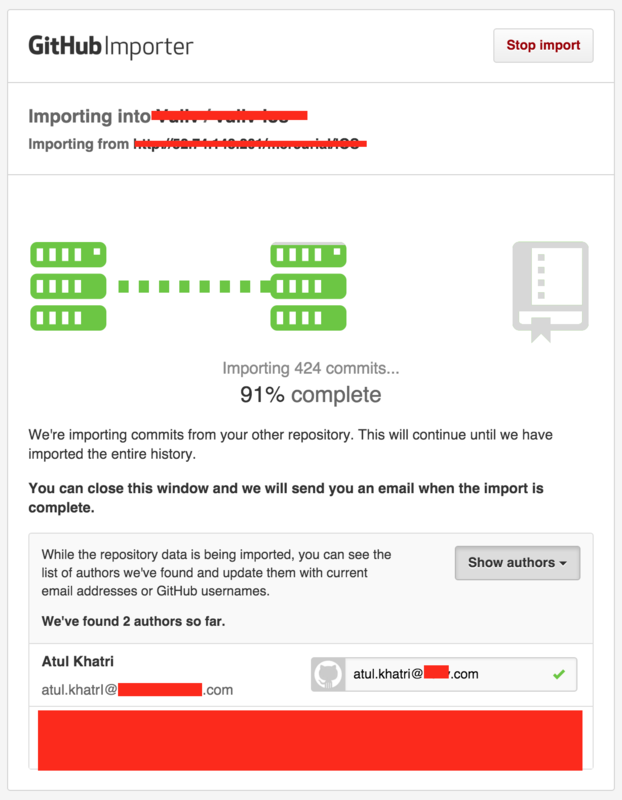 When I export mercurial to git, why is the result so large? Is it possible to merge and link two unlinked repos on Github?